This week's binnall report will be posted this weekend, I swear. I know, I know, the review has gotten painfully delayed and I'm annoyed and embarassed that it has taken so long, but I'm confident that we'll be on the right track soon. At this point the column is about 70% done. I decided to go back and re-listen to the C2C Ouija episode, since it has been a while and I wanted to give it a fresh look. 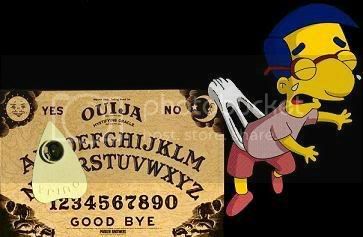 C2C's Ouija Board Debacle :: A comprehensive look @ the much talked about C2C "special", including the hype leading up to it, the scant good parts about the episode, a detailed hour-by-hour rundown of the special, discussing all the stuff that pissed me off about the show. And, big picture thoughts on the episode and why it was such a disaster. binnall / Kimball Summit will Happen :: More details on next weekend's monumental binnall / Kimball Summit, which will see me heading up to Canada for an esoteric road trip. Other Esoteric Stuffs :: Random musings on the world of the paranormal.